If you don't need a roll-off container but still have a need for extra garbage and recycling disposal, we invite you to drop your additional waste at the Columbia County Transfer Station and Recycling Center for a small fee. 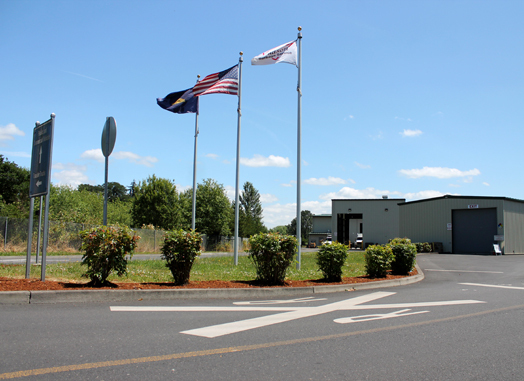 The Columbia County Transfer Station & Recycling Center accepts all asbestos free construction debris, scrap metal, heavy corrugated cardboard, household waste, appliances, and yard waste. Also watch watch for Special Household Hazardous Events to get safely dispose of these items. Residents can join for $5 and then drop off the certified sharps container at the scale house. They will give the customer an empty one – the $5 is a one-time fee. Items such as household hazardous liquids may be taken to the Columbia County Transfer Station during the HHW collection events. Please visit this link to schedule your drop off accordingly. Sharps (also known as hypodermic needles) must be put in a state certified red “bio hazard” container. (NOTE: NO OTHER CONTAINER WILL BE ACCEPTED). Sharps drop off is free at the scale house Monday through Saturday from 8:00 a.m. to 5:00 p.m. at the Columbia County Transfer Station.